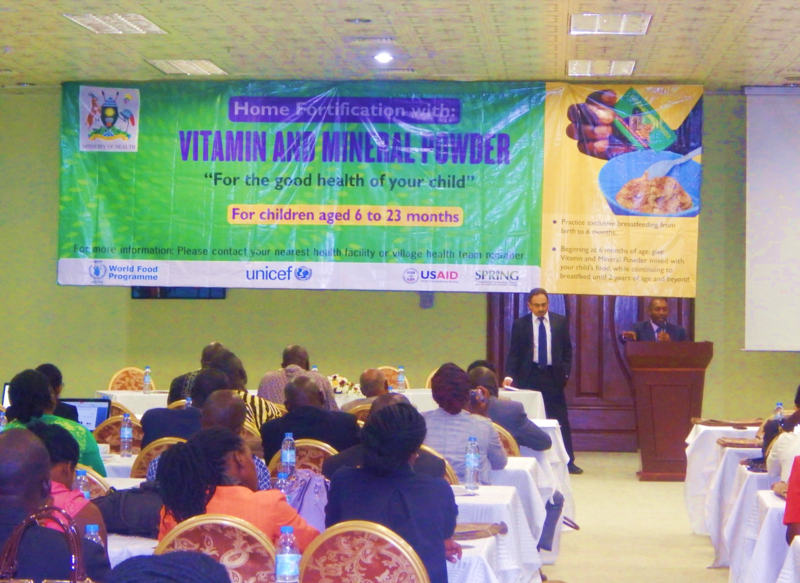 SPRING/Uganda, the Government of Uganda, UNICEF, and the WFP launched the Vitamin and Mineral Powder Program to address micronutrient deficiencies through home food fortification. Dr. Alfred Boyo, the Nutrition and Child Health Specialist at USAID/Uganda, addresses the meeting. On the left is Mr. Manohar Shenoy, SPRING Chief of Party (Photo credit: Abel Muzoora). 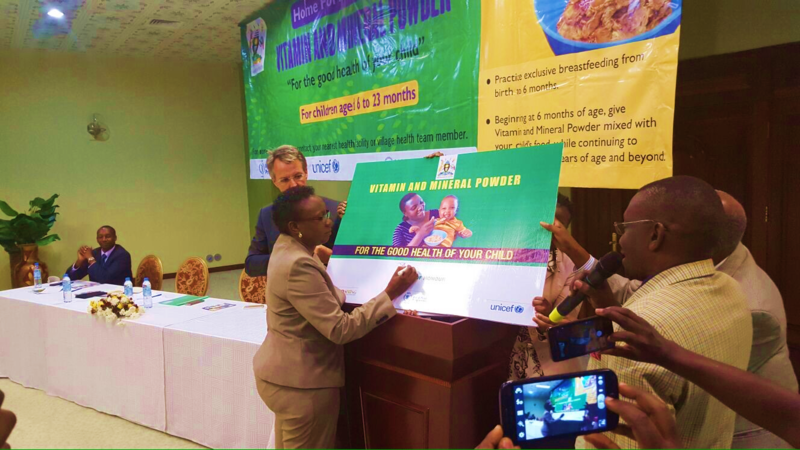 Dr. Jane Acheng unveils the Vitamin and Mineral Powder Program in Uganda (Photo credit: Abel Muzoora). 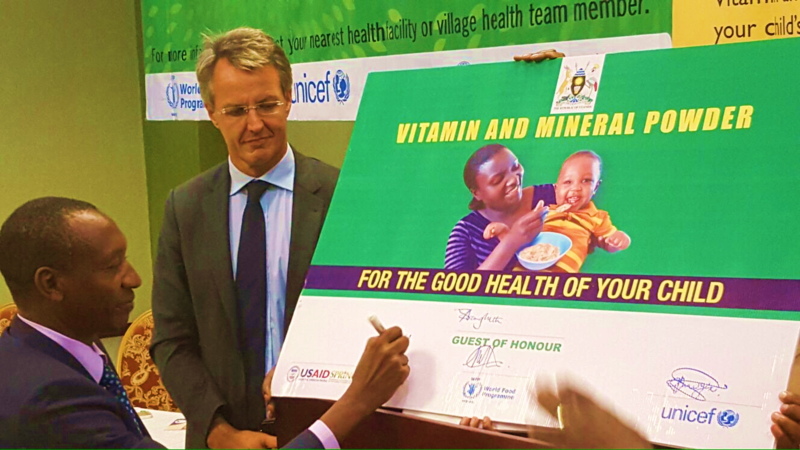 Dr. Boyo signs the commemorative micronutrient powder sachet (Photo credit Abel Muzoora). 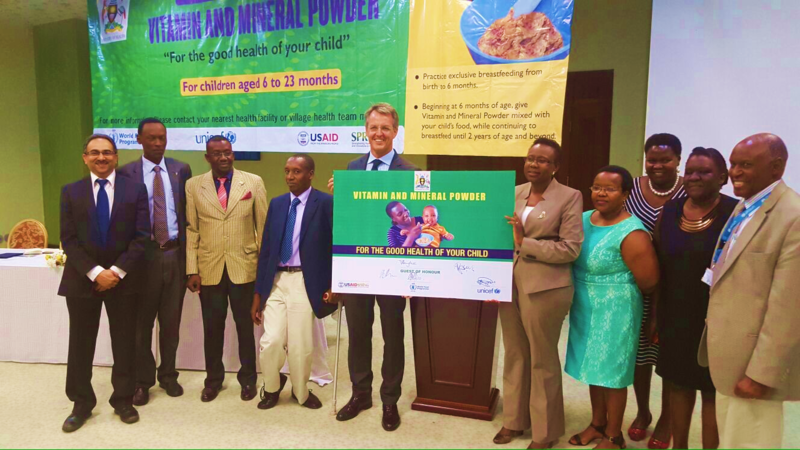 Key partners involved in the roll out of the Vitamin and Mineral Powder Program in Uganda (Photo credit: Abel Muzoora).